If you don’t have the time or inclination to design a blog yourself, hire someone to do the work for you! Hiring a designer costs money, but you can often find a designer whose rates are within your budget and who fits your style. Having a blog professionally designed can cost anywhere from a few hundred dollars to $5,000 or more. The range in cost is sort of like pricing a vacation. When you plan a vacation, your costs will depend on where you want to go, where you stay, and how much you want to do. Blog design can also range in price, depending on which blog platform you want, the designer’s experience, and how comprehensive of a design you want. Hiring a designer or design firm to create your blog designs has both its benefits and challenges. Get exactly what you want. When you work with a good designer, you don’t have to settle for blog design that’s limited because you don’t know how to do something technical. You get what you want without needing the knowledge to accomplish it. Exercise creative power. Good designers can translate your blog vision and your passions into a blog design that’s just for you. They can also help you weed out the blog elements you don’t really need or suggest creative ways to solve your design or layout challenges. For example, Catherine Horgan from Closet of Style loves layers. She loves to layer clothes and mood boards as well. After a design discovery meeting with designer Laurie Smithwick of LEAP Design, she ended up with a site that matches her passions. Receive support. A designer can also handle the really technical stuff, like making sure your blog looks the same in Internet Explorer as it does in Google Chrome. Plus, after your blog design is installed, a designer works with you to iron out any kinks or technical issues with your new design. If you need help troubleshooting or help with blog maintenance, many designers offer blog maintenance packages or charge by the hour. You always have someone to help you out of a bind. Cost: Yes, you have to fork over some dough to have someone design a custom blog for you. Although many designers offer special design packages, you may end up having to add on extra design elements to fit your needs. Some designers offer premade designs, which are typically sold with just minimal change options, such as customizing the design with your blog name or choosing which social media buttons to include. Although you run a risk that others in your niche will have the same design, you can get a professional design for a lower cost. Dependence on designer: If you hire someone else to design your site, you won’t learn as much about how to use your blog as you would designing it yourself. 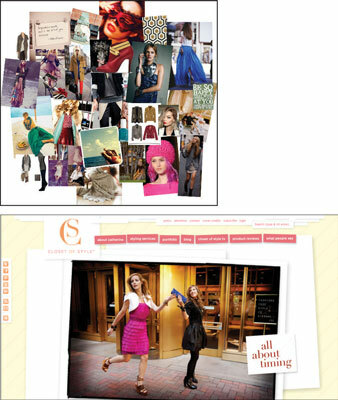 Designer mismatch: Perhaps the designer’s style doesn’t match yours, or the designer just isn’t pleasant to work with. Depending on your contract, you may need to pay more creative fees for additional design options.